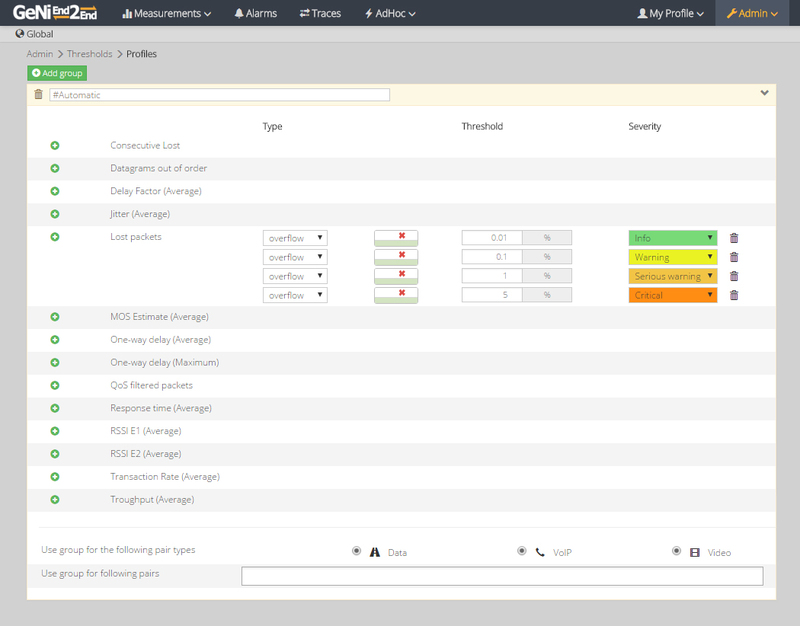 The assessment and monitoring solution GeNiEnd2End Network is an active end-to-end performance testing software for the network engineer as well as for the service desk employee. 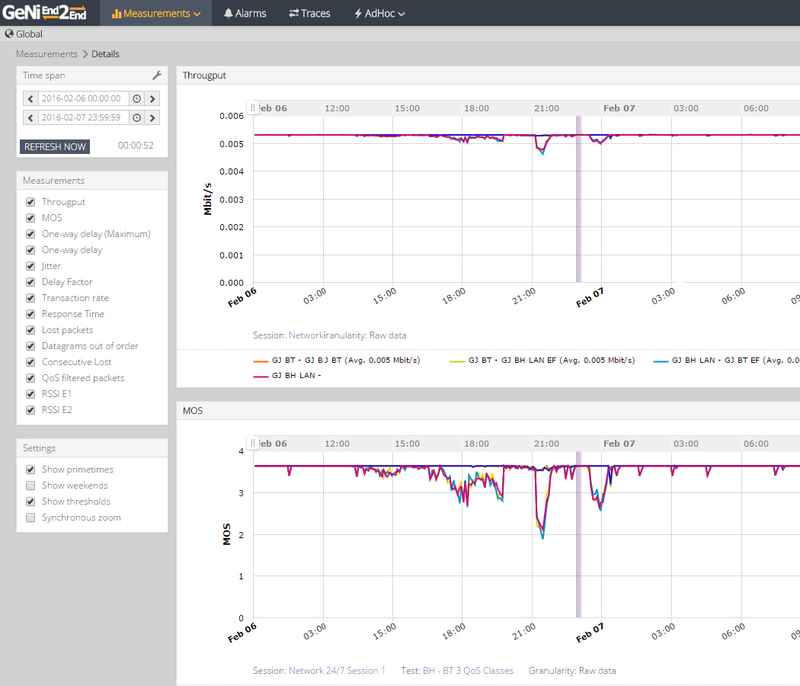 The management software monitors 24/7 the network performance for multi-play applications and is expecially suited for a fast cause analysis with application response time issues. With GeNiEnd2End network those responsible for the IT receive the full end-to-end control for their network, as it identifies potential problems before they occur for users. It is both suitable for the implementation of new applications (like for example VoIP) as well as for the monitoring of the ongoing operations. 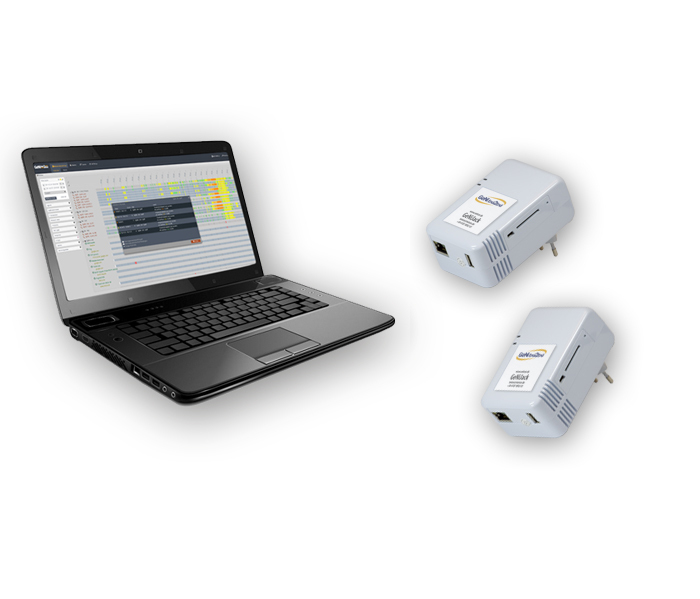 The GeNiEnd2End management software automatically tests the availability and performance of triple-play applications 24/7, by simulating programmable and repeatable test scenarios systematically. 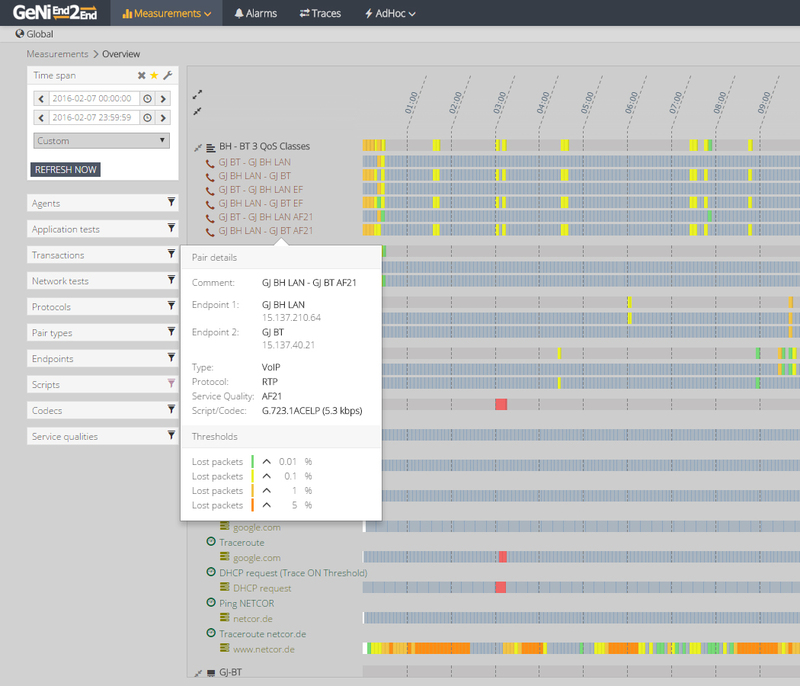 With GeNiEnd2End you can test the performance capability of any IPv4 / IPv6 application that sends data over a network. 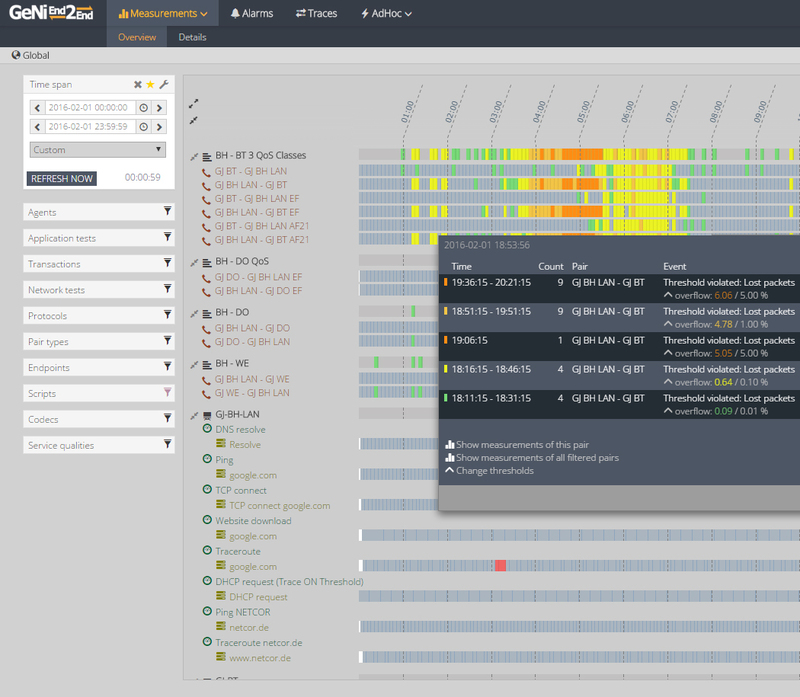 The visualization of the performance data and the configuration is undertaken via a web browser and can be displayed in clearly structured and meaningful reports. This way it can be easily determined whether the network is the cause of the performance problem. GeNiEnd2End Network offers performance management from the beginning to the end, 24/7, in order to effectively manage the LifeCycle of Triple-Play-Services. GeNiEnd2End Network delivers comprehensive, immediately usable functions, among them also an alarm function in order to guarantee highest availability and quality of convergent networks. If an event occurs GeNiEnd2End Network immediately informs the corresponding personnel via email, so that corrections can be made. The Ad-Hoc-test function provides further options for application of the GeNiEnd2End Network as a diagnosis tool for the Service Desk (UHD). 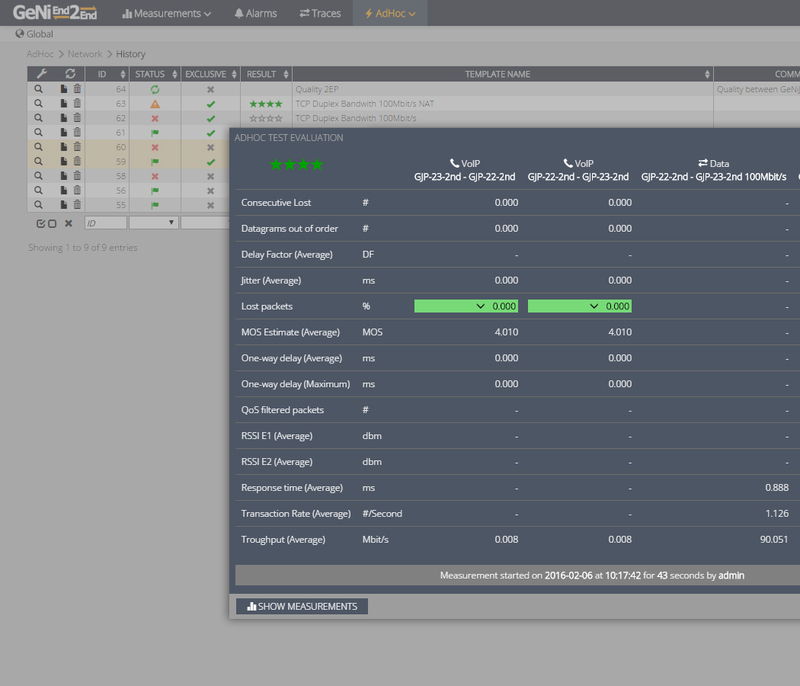 A simplified workflow is offered over the separate Ad-Hoc-test page, with which the first-level-support is better able to qualify the reported performance interference. The measurement results can either be viewed over GeNiEnd2End Network or are transferred via email, including an evaluation of the measurement results (good, sufficient, poor) - incl. detail information for the transfer to the Second-Level-Support. Optionally the Ad-Hoc-test function can also be addressed over the existing API from a superior web portal. The Ad-Hoc-test function enables a fast and simple troubleshooting in case of complaints about the IT performance. This results in a variety of advantages for the Service-Desk, like for example the reduction of the ticket processing time or an increase in the resolution rate. Go new ways in the IT service environment with the User-Self-Service-Module from GeNiEnd2End. Similar to online banking where the customer is integrated into a service chain of the finance institute - the IT user receives a workflow-controlled process with GeNiEnd2End in order to check the IT performance of his desktop. This end-to-end performance data supports the qualified transfer to the service desk. By the fact that users are integrated in the solution, the attention is relocated from fire fighting to mutually eliminating the problem, which is motivating for all involved. The GeNiEnd2End FirstAid test function allows the Service Desk to determine the end-to-end performance from the user’s perspective. FirstAid offers now the opportunity for the First-Level-Support employee to evaluate performance issues by oneself. The measurement results are automatically rated and presented from FirstAid by using the signal colors (red=bad, yellow=sufficient, green=good) of the traffic lights. By doing this the trouble-ticket can now be forwarded to the responsible Second-Level-Support employee. For further diagnosis, detailed information can be gathered from GeNiEnd2End. This innovative workflow allows an efficient processing from trouble-tickets, this enables that the user can quickly return to his performant workflow. The FirstAid test function can be integrated directly into the present service desk application through the embedded API of GeNiEnd2End. FirstAid provides a minimalistic user interface, the user only needs to select the performance test and destination.After the performance test is completed, the end-to-end measurement results are assessed and by request detailed performance results are available. In the active performance management system GeNiEnd2End agents spread throughout the network work like virtual users and conduct repeatable test sequences. The agents exchange network transactions with each other on the application layer. Already over 150 application scripts are integrated, like for example SAP, Oracle, Lotus Notes, MS-SQL. Own test runs can be created for applications for which no tests are available. A frequent area of application for GeNiEnd2End Network is the determination of the network quality for VoIP or video transmission. The agents simulate end-to-end VoIP conversations with each other for the various ITU-T Codecs, like for example G.711, G.723, G.729 und G.726. 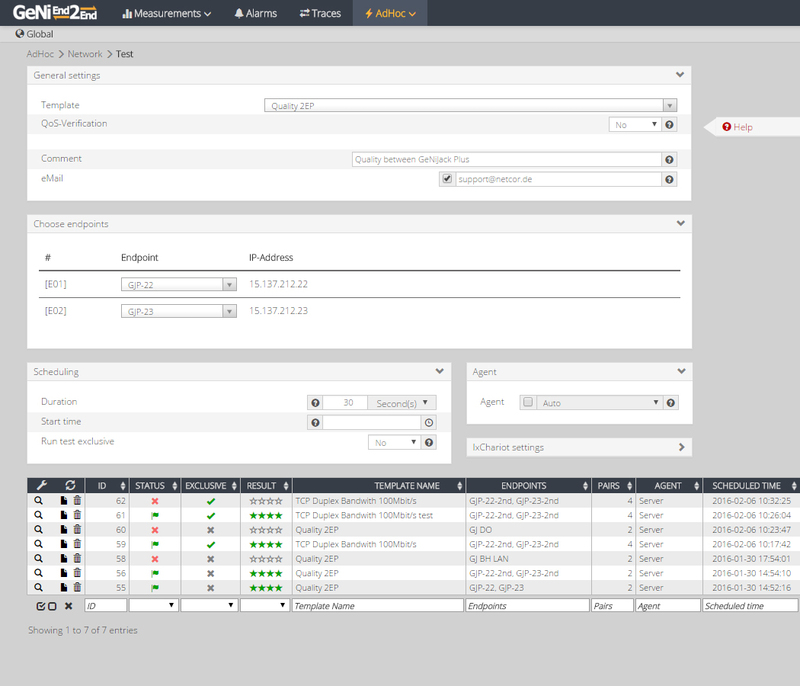 The management software supplies a statement about network characteristics like Jitter, Delay, and Packet Loss in every phase of a VoIP implementation. The voice quality – the so-called MOS-value is also determined. With GeNiEnd2End Network clarification of whether the bandwidth and the technical characteristics of the network infrastructure for a VoIP implementation were sufficiently dimensioned is possible prior to implementation. Also later on in operation, GeNiEnd2End Network is the ideal tool for documentation of the voice quality and also possesses the means to identify the possible causes of a quality loss.